Any person who meets the qualifications, by being of sound mind and age 18 or older, may act as a witness to the testator’s signing. 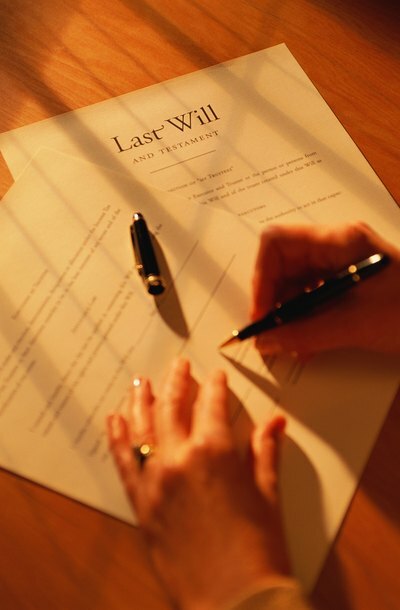 Although attorneys would generally consider it unwise, Alabama law does not prohibit the executor or even a devisee named in the will from acting as a witness. When interested parties to a will also act as witnesses, the will may be more easily challenged as being made under duress or undue influence upon the testator. A last will and testament does not have to be notarized in the state of Alabama to be considered valid. If the signatures of the testator and witnesses are notarized, however, forgery is less likely to be raised as a concern later, particularly when the notary public requires identification of the parties. Many wills today are made "self-proving" at the time of execution. A self-proving will contains testimony by the witnesses that to the best of their knowledge, information and belief, the testator was of sound mind at the time of signing, signed the will willingly and not under the undue influence of another person. In a self-proving will, signatures of all parties to the will must be notarized and probate proceedings are generally expedited, because the witnesses do not have to appear or give testimony before the court after the testator’s death. A last will and testament executed in another state in compliance with the laws of that state may be allowed into probate in Alabama, even though it does not comply with Alabama’s signing requirements. This may occur if the testator resides in another state or was a member of the armed forces at the time of making his will. Upon the testator’s death, if the will is not self-proving and witnesses cannot be located for testimony, handwriting witnesses may be required to appear or give written testimony to validate the signatures of the testator and at least one witness. Justia US Law, 2006 Alabama Code - Section 43-8-134 : Who May Witness Will. Justia US Law, 2006 Alabama Code - Section 43-8-135 : Choice of Law as to Validity of Execution. Justia US Law, 2006 Alabama Code - Section 43-8-167 : Mode of Proving Will Generally.